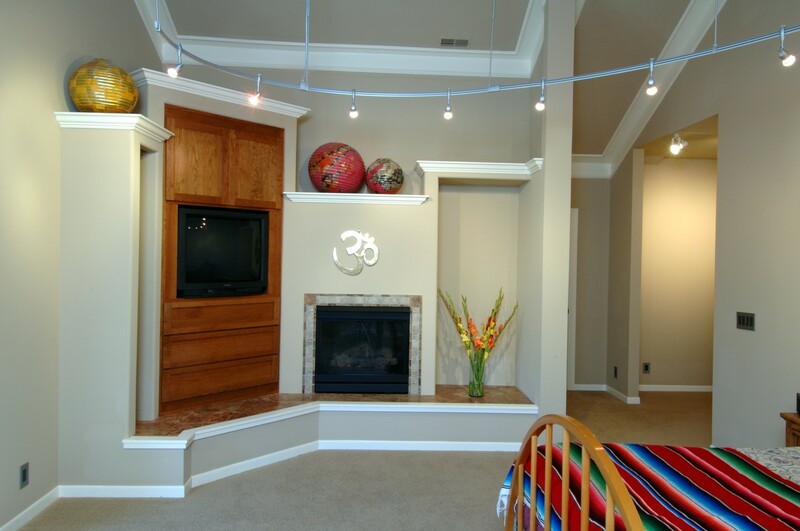 With high ceilings, crown molding can look cheap if it’s too small. 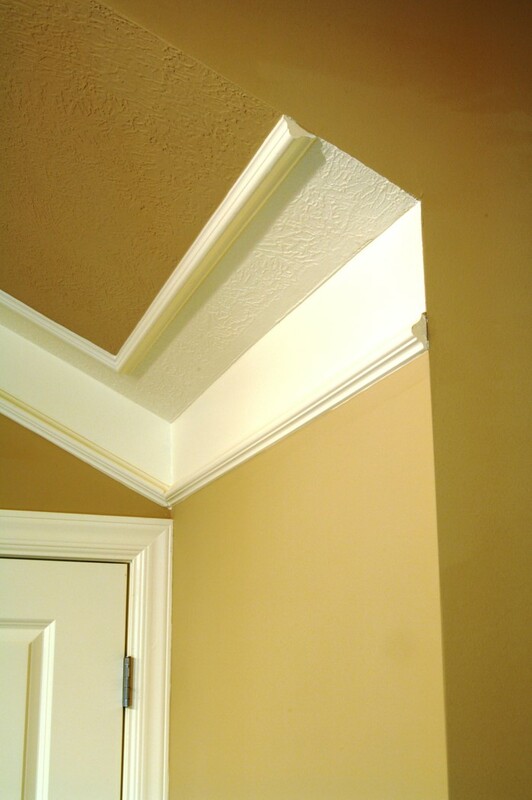 But large crown molding can be costly. To help make this high-ceilinged house both affordable proportional, I chose to do what Hollywood does—fake it. I ran two pieces of inexpensive panel molding in parallel, one along the ceiling, the other along the wall, and then painted the whole strip—panel-mold-to-panel-mold — the same color and sheen as the trim throughout the house. It worked: The special effect is almost as satisfying as the real thing—and it cost a fraction of what a real crown molding in the right proportion would have cost.